Don’t be surprised if your college interviewer doesn’t seem much older than you! 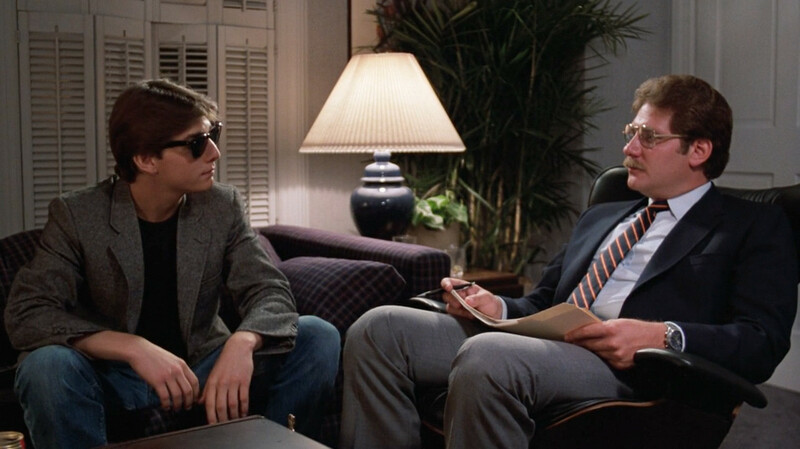 In this particular interview in “Risky Business,” there was a more significant age difference. And, by the way, never wear sunglasses at your interview. Not that you would! Young college interviewers are quite common so don’t be surprised if you go in for your Yale interview and find that your interviewer doesn’t look much older than you. Young alumni have a lot of energy and they’re fresh out of their college experiences. Maybe they’re underemployed and have time to do lots of alumni interviews. Or maybe they just enjoy doing them. A number of students are surprised each and every year by the age of their interviewer. Don’t be! An alum is an alum whether he or she graduated in 2013 or 1945. Many applicants make the mistake of thinking their interviewer is just like them if they’re about the same age. Don’t make that mistake! Just because your interviewer is wearing shorts and a t-shirt doesn’t mean you shouldn’t be dressed up. Just because he or she chooses a Starbucks as a place to conduct the interview doesn’t mean you shouldn’t be dressed formally. Many interviews are conducted in places like Starbucks. Many schools even recommend this because they don’t want students going into the homes of alumni (that can be dangerous and scary for applicants). So just because your alumni interviewer is young, don’t talk about drinking. Don’t talk about beer pong. Don’t talk about how you want to go to Duke just for the great basketball. Don’t think that just because you two seem to be hitting it off that you should be saying these things. Because a negative review in an interview can negatively impact your candidacy. Your comments about drinking and beer pong can indeed carry weight! So should you have an alumni interviewer on the younger side, think of him or her as though he or she is no different than an older alum. Address him as Mr. so and so or Ms. so and so. Be formal and polite!